New Delhi : The Election Commission on Wednesday announced that voting, if required, to elect India's next President will take place on July 17 and counting thereafter on July 20. The last date for filing nominations is June 28 while scrutiny of nominations will take place on June 29, Chief Election Commissioner Nasim Zaidi told media persons here. The last date for withdrawal is July 1. "The date on which polling will be held, if required, is July 17. Counting, if required, will be done on July 20," Zaidi said. The term of President Pranab Mukherjee, the country's 13th President, will end on July 24. Zaidi said members of the electoral college -- comprising members of the Lok Sabha and the Rajya Sabha and state assemblies, including Delhi and Puducherry -- will be provided special pens to cast their ballot and use of any other pen will render the vote invalid. The poll announcement has set the ball rolling for the declaration of candidates by the ruling National Democratic Alliance and the opposition parties for the country's highest elected office. The ruling Bharatiya Janata Party-led NDA, which is seen to have a clear edge in the electoral college, has so far not given any indication about its choice. Several opposition parties have since held parleys to find a consensus candidate but have decided to wait for the ruling alliance to reach out to them with the name of its candidate. The parties have said that if a consensual candidate does not emerge, they will field a candidate "who will steadfastly defend the constitutional values". Congress President Sonia Gandhi has initiated moves to bring the opposition parties on a common platform for the presidential and vice-presidential elections. The term of Vice President Hamid Ansari will end in August. Zaidi said that Lok Sabha Secretary General Anoop Mishra will be the Returning Officer for the presidential poll and ballots will be cast in Parliament House and in the respective state assemblies. 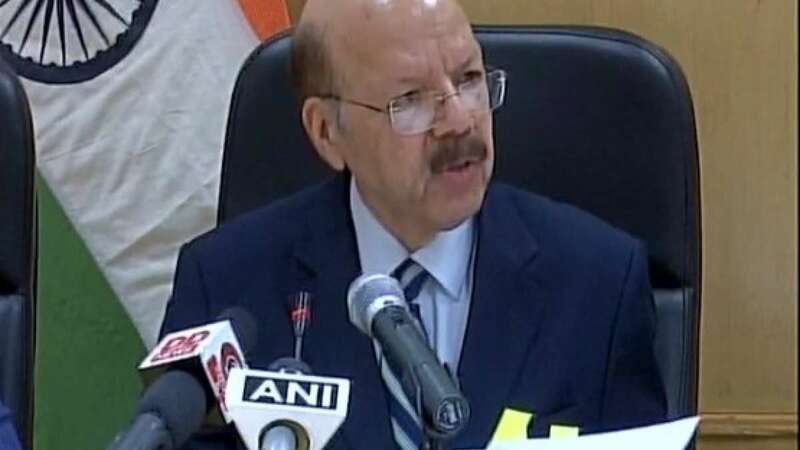 The counting of votes will take place in the national capital under the supervision of the Returning Officer.The Chief Election Commissioner said presidential election will take place through secret ballot and political parties "cannot issue any whip" to their respective MPs or MLAs. The election is held in accordance with the system of proportional representation by means of single transferable vote. Every elector can have as many preferences as the candidates contesting the election and the winner has to secure the required quota of votes to be declared elected -- 50 per cent of the valid votes plus one. Zaidi said a nomination paper has to be backed by at least 50 electors as proposers and at least 50 electors as seconders. He said Assistant Returning Officers will be appointed in all state capitals, besides Delhi and Puducherry, to ensure smooth logistics for the election. He said each candidate will be allowed to deploy a representative at the venue of polling. Zaidi said MPs are expected to vote in Parliament House in Delhi and the MLAs in their respective assemblies but they can vote at another polling station in case of exigency after applying to the poll panel in advance.